ANTIQUE DELUXE SIXTY SPECIAL POPCORN MACHINE W/ CART. CAN USE AS COUNTERTOP POPPER. 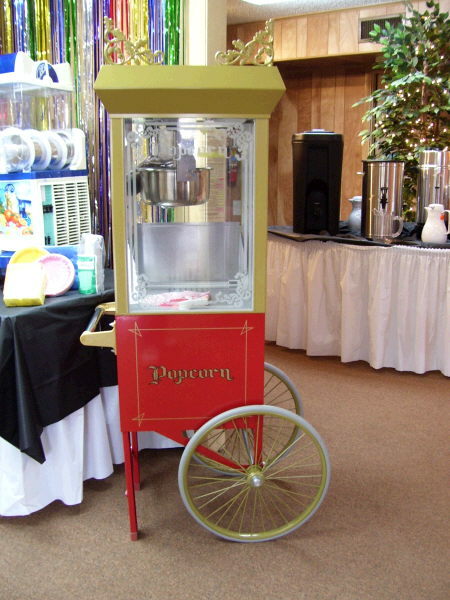 * Please call us for any questions on our popcorn machine w/cart rentals in White Oak, Longview, Gilmer, Gladewater, Big Sandy, Kilgore, and all of East Texas.